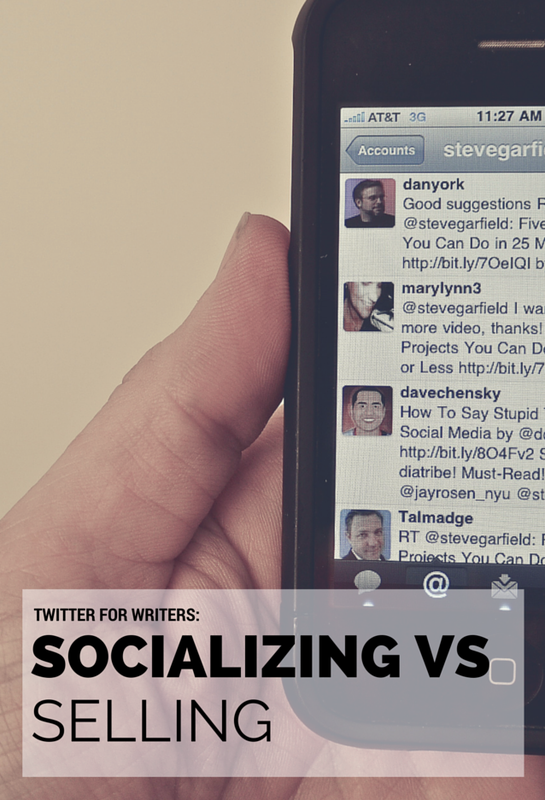 In my most recent vlog, I announced I’d be starting a Twitter for Writers blog series… and then, promptly ignored it. I’ve had a lot going on in my life recently—mostly Blood and Water, which releases soon—and I haven’t had time to start the series until now. Still, I want to make it count, starting with this first post. If you have any specific Twitter topics you’d like me to cover, let me know in the comments! One of my biggest Twitter pet peeves is the auto-DM. My good friend Adam Dreece wrote a post about this epidemic that you should definitely check out. Go ahead. I’ll wait. (He also wrote a great one about genuine engagement. Just go ahead and follow him already, okay?) Bottom line: don’t do that. If it does work—and the chances are slim—you’ll make a sale but no connection. If it doesn’t work, you’re bound to make somebody mad. Twitter doesn’t exist to help you sell books. I’ll say that again: Twitter doesn’t exist to help you sell books. Yes, it can certainly help you with that, but its primary function isn’t a marketing machine. At its core, it’s a social network, which means you should use it to build relationships, make friends, and talk to other people. I see too many people using Twitter to sell, rather than to socialize. I know you want to sell books (who doesn’t? ), but that shouldn’t be the only thing you’re tweeting about. It’s a major turn-off. Whenever someone tweets a link to their book or DMs me about it without me asking, I unfollow them. Is it harsh? Maybe. But you know what? Sometimes it helps get the message across. I’m not saying that you can’t ever tweet about your book. Heck, what do you think I’ve been doing the past couple of months? You can promote all you want—as long as it’s not the only thing you do. Talk to other people, retweet, engage, participate in community, and help spread good vibes. If you’re building relationships, you’ll find that people will express interest in your work—without being prompted. What are some of your Twitter pet peeves? What other topics would you like to see me cover in this series? I absolutely agree with this post! Auto-DMs are an instant unfollow back from – Twitter is for growing an audience and meeting amazing new people (we would never have met without it! ), but people who just spam-tweet or spam-DM their own books, and don’t provide *any* other form of engagement – it’s the wrong way to use Twitter. It’s actually happened before that I follow someone, and automatically get a generic DM about something they’re trying to sell. Unfortunately, that means that I go to their page and promptly unfollow them. I want connection and relationships and quirky characters! I love meeting people and creating the acquaintanceship (or if I’m lucky: friendship), and if that connection is formed, then I’m far more likely to check out a book or other product created by them. because, by then, I genuinely want to support them. Thank you, Rae! Like I said, I truly believe that Twitter is first and foremost for building and nurturing relationships. My best advice – BE A PERSON! Auto-DM’s are horrible! I don’t know if this has been something that’s gained popularity or what but I’ve been getting them a lot more lately from people I follow (and later unfollow after getting the auto-dm). There horrible for almost any industry in addition to the writing community. It seems people resort to sell/sales-y tactics because they aren’t really sure *how* to build a following/community on social media. They aren’t familiar with the author/writing communities on social media + they receive bad advice (which there is a lot of!) on how to market their books. YES! Couldn’t agree with you more. I’m hoping this series will open people’s eyes to some things they could improve. If I can be helpful, I’ll be happy!